As avid followers of this blog will be aware, members of the Labour Party from Stockwell and across Lambeth will be holding a "Stand up for Stockwell dinner" tonight at Casa Madeira near Vauxhall. 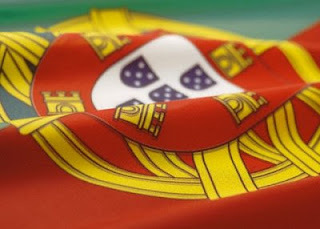 The Portuguese community are one of the most important groups in Stockwell and in Lambeth - estimated to be the largest single minority community in the borough. It's therefore only right that we celebrate the great contribution that the Portuguese make to our community. Over 100 people from both the Portuguese community and the Labour Party attended the dinner at Casa Madeira, and was a fantastic night with speeches from Antonio Cunha, UK representative of the Portuguese community, Stephen Twigg, Cllr Steve Reed, Leader of Lambeth,Val Shawcross, London Assembly Member and Anne Fairweather, Labour Candidate for the European Elections. Try though I have severaL times to watch the Video I can't locate it -perhaps you can advise or correct the connection more precisely. Maybe it got mistaken for a local public loo Ad' and got closed down pronto pronto. Sorry - LUSA seem to have taken down the video, will try to track it down. Hang on - are you talking about Gabriel Fernandes, who was a Lib Dem councillor in Stockwell - yes he was convicted of housing benefit fraud and resigned. But, I say again - he was a Lib Dem and Labour won the by-election. Please get your facts straight. "but you can read details (in Portuguese) here: http://www.acorianooriental.pt/noticias/view/182214 "
are these details now only in Portuguese? the original vid from what I saw of it before deletion were NOT in Portuguese - and if they are only in Portuguese why so?? Don't the rest of use "avid readers" of SU4S count? ?